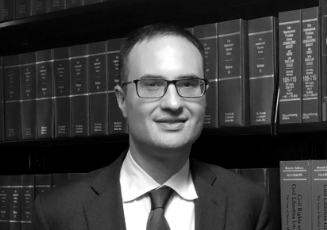 Samuel Spital is the Director of Litigation at the NAACP Legal Defense & Educational Fund, Inc. Prior to joining LDF, Sam practiced for over a decade at two national law firms, where he worked with LDF as co-counsel on numerous cases involving capital punishment and voting rights. These included Buck v. Davis, in which the Supreme Court held that LDF-client Duane Buck’s constitutional rights were violated when Mr. Buck’s own trial counsel presented an “expert” who falsely testified that Mr. Buck was more likely to commit future acts of criminal violence because he is Black, and Williams v. Allen, in which the Eleventh Circuit Court of Appeals granted habeas corpus relief after the trial judge had overrode the jury’s 9-3 vote in favor of a life sentence and imposed death instead. In Northwest Austin Municipal Utility District No. 1 v. Holder and Shelby County v. Holder, Sam was an integral member of the LDF-led teams that represented Black voters who intervened to defend the constitutionality of the Voting Rights Act. Sam’s extensive experience in civil rights litigation also includes successfully representing three men who served between 25 and 40 years in solitary confinement-type conditions at the Louisiana State Penitentiary at Angola. Sam is a Lecturer-in-Law at Columbia Law School, where he teaches a course on death penalty and prison litigation. He is a 2000 graduate of Harvard College and a 2004 graduate of Harvard Law School. After graduating law school, Sam clerked for The Honorable Harry T. Edwards of the United States Court of Appeals for the District of Columbia Circuit, and for The Honorable John Paul Stevens of the United States Supreme Court.